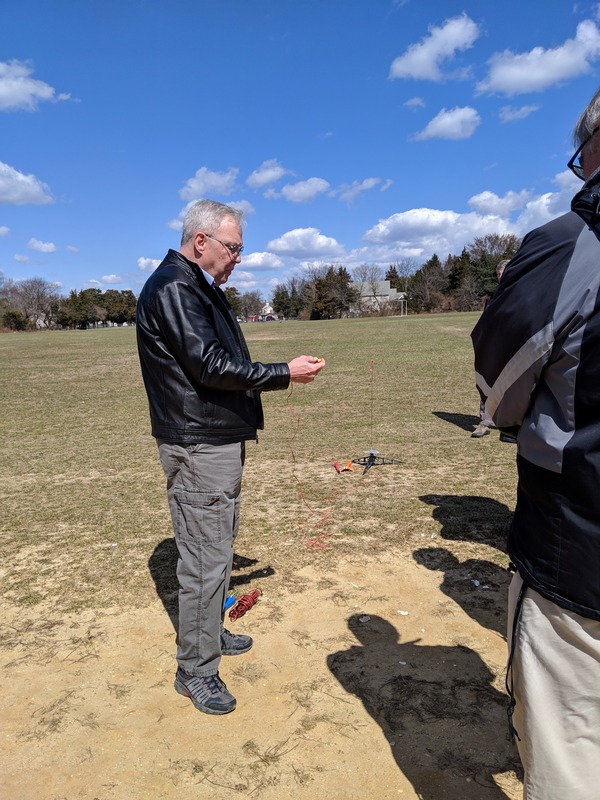 Greg Kennedy, left, technical advisor for Rowan Blast Off 2019, brings educators outdoors for a field training in launching rockets safely and successfully. 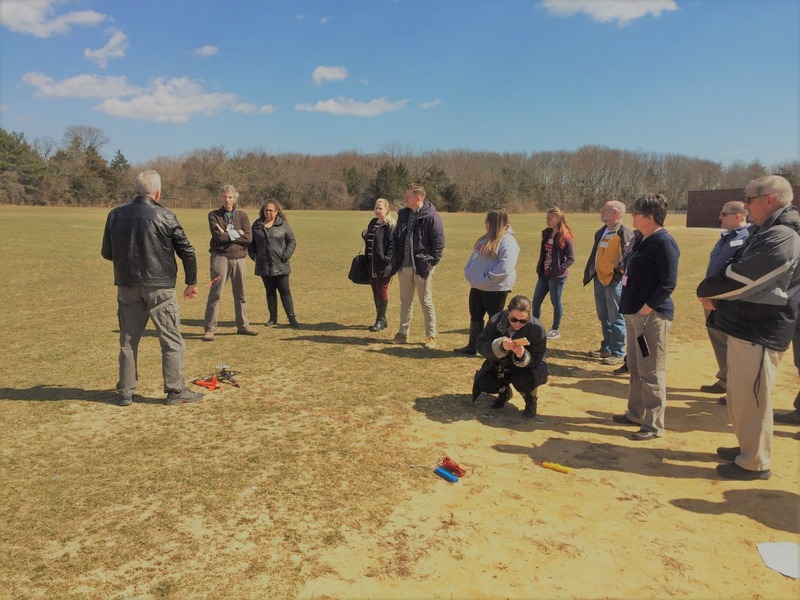 Robotics teams at Toms River Regional’s secondary schools, High School East’s Rocketry Team, and additional middle and high schoolers will be launching on an adventure to Rowan University to meet with the Rowan University Student Chapter of the American Institute of Aeronautics and Astronautics April 13. 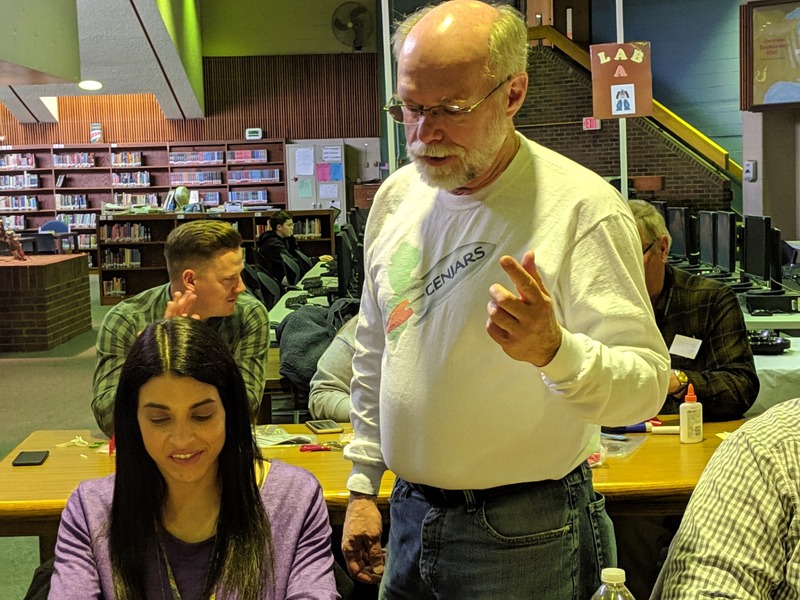 The robotics teams will also be sharing and showcasing their robots at the accompanying Rowan University STEM Fair. 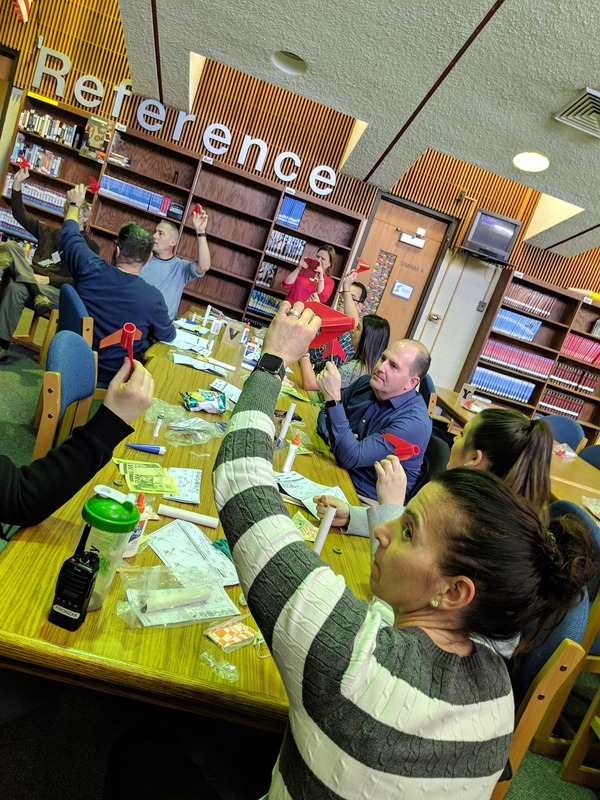 Led by Greg Kennedy, technical advisor for Rowan Blast Off 2019, educators had field training in launching safely and successfully, built their own model rockets and, in the true spirit of STEAM problem-based learning, gained an understanding on how to optimize their rockets for height and distance both through choice and design of materials. 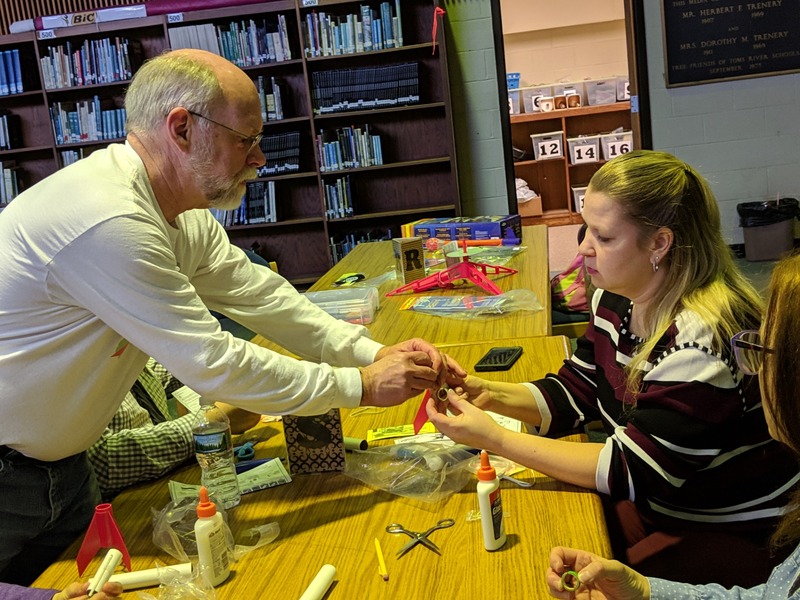 Students are encouraged to use free OpenRocket software to simulate their model rocket’s flight. 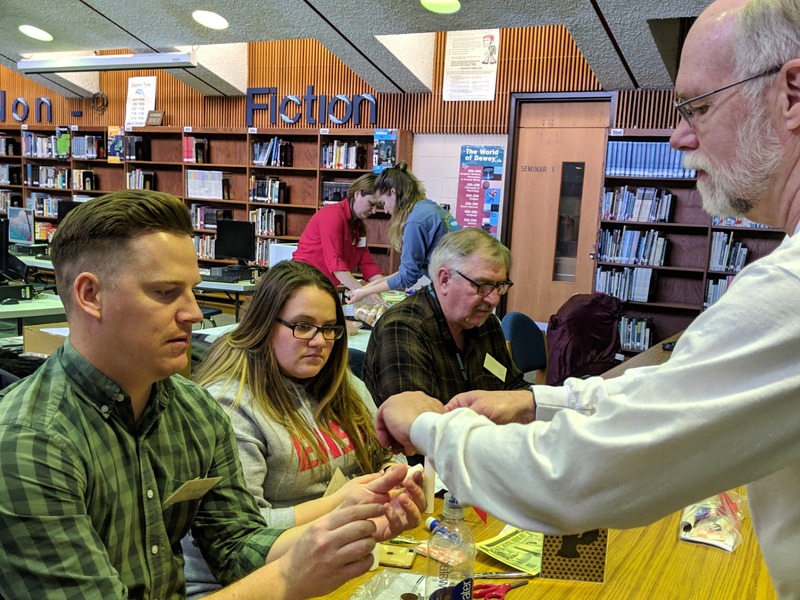 The April 13 event will feature four types of competitive flights. 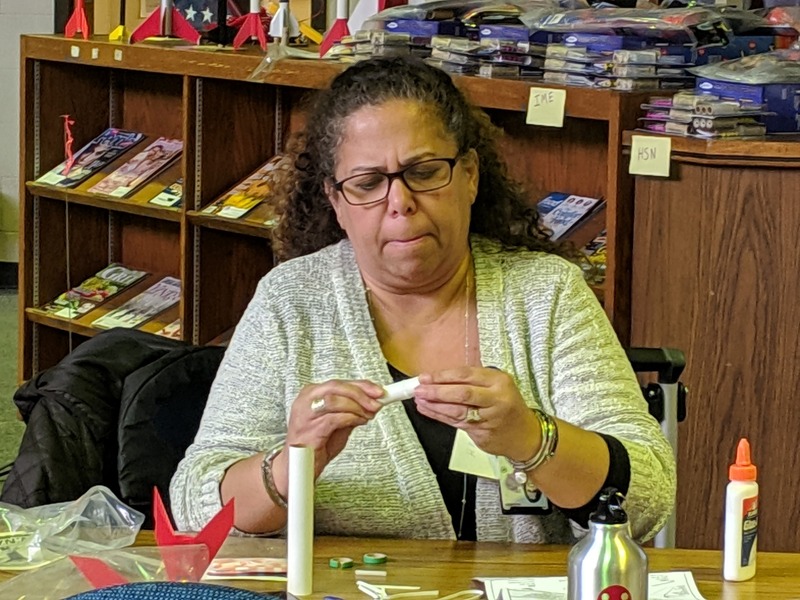 The first three are guided by the duration of the flight and type of power engine (A, B, or C), and whether they use a parachute, streamer, or an egg loft with a parachute (a.k.a. 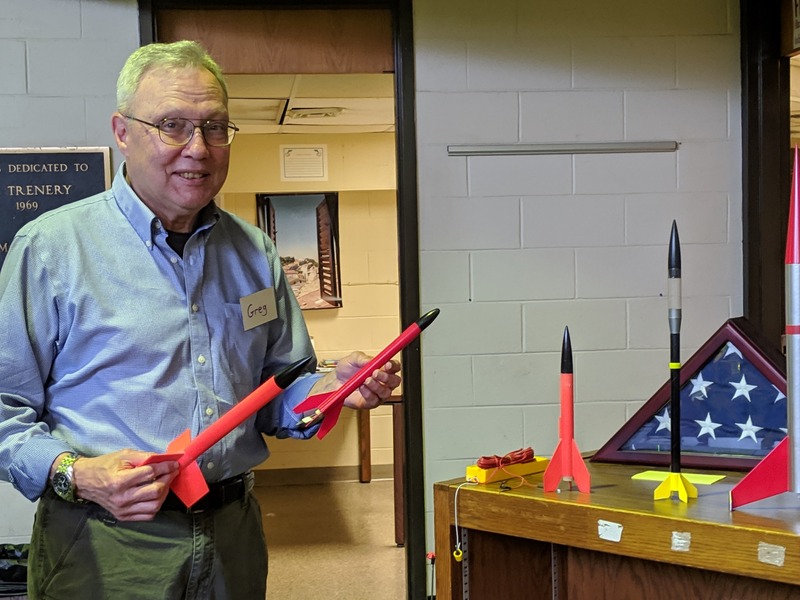 hereinafter referred to as chickens in space), and finally, a spot landing flight on a target at a specified distance from the launch pad. 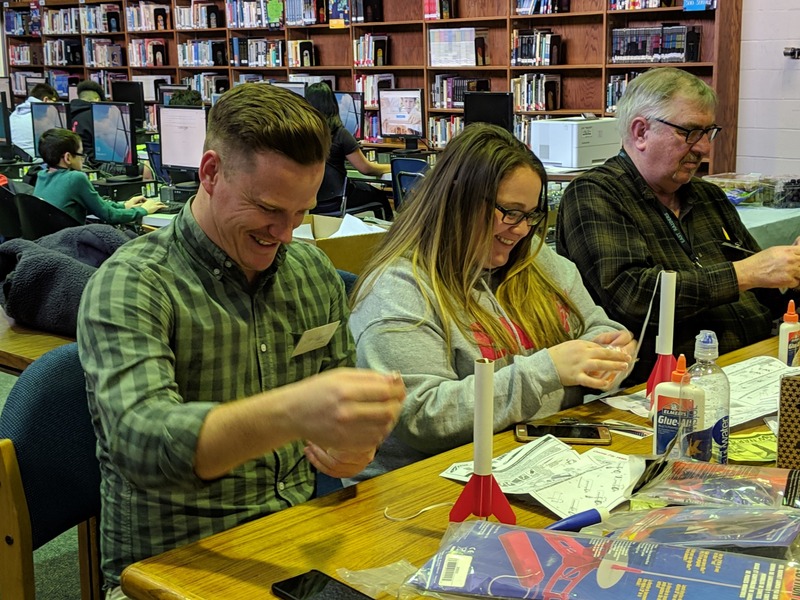 Each rocket team is comprise of one-to-six students. 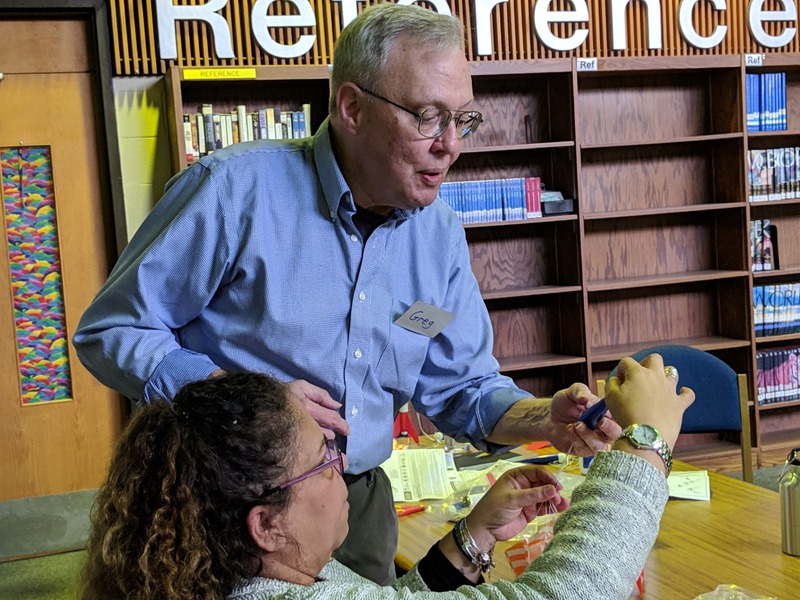 Each building will be sending approximately 20 students. 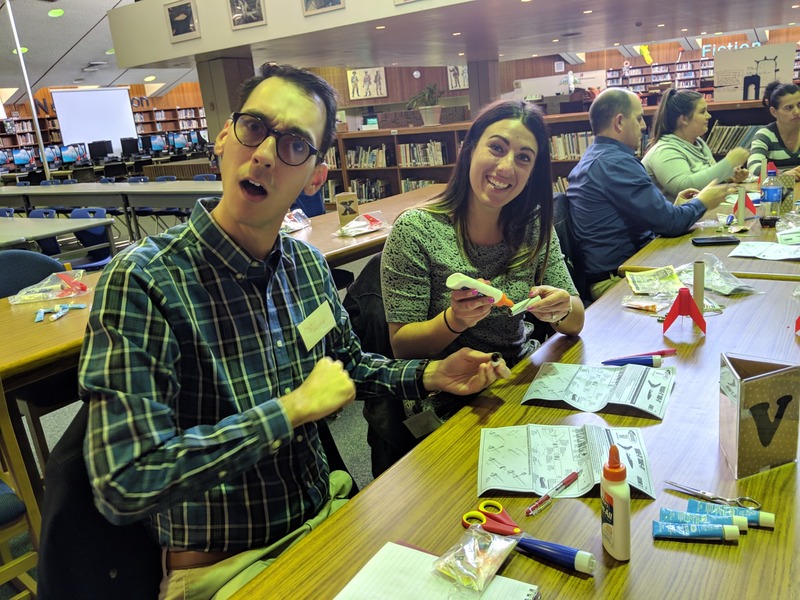 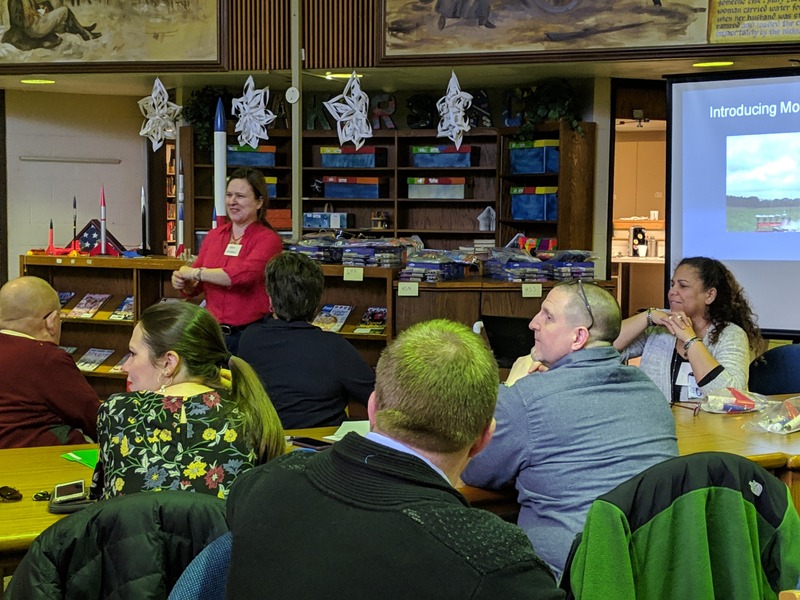 Workshops were organized by Toms River Regional Schools Assistant Superintendent Dr. Marc Natanagara and Supervisor of Educational Technology Tiffany Lucey, and were sponsored by NAVAIR's Gaetan Mangano and Haidi Oliveira. 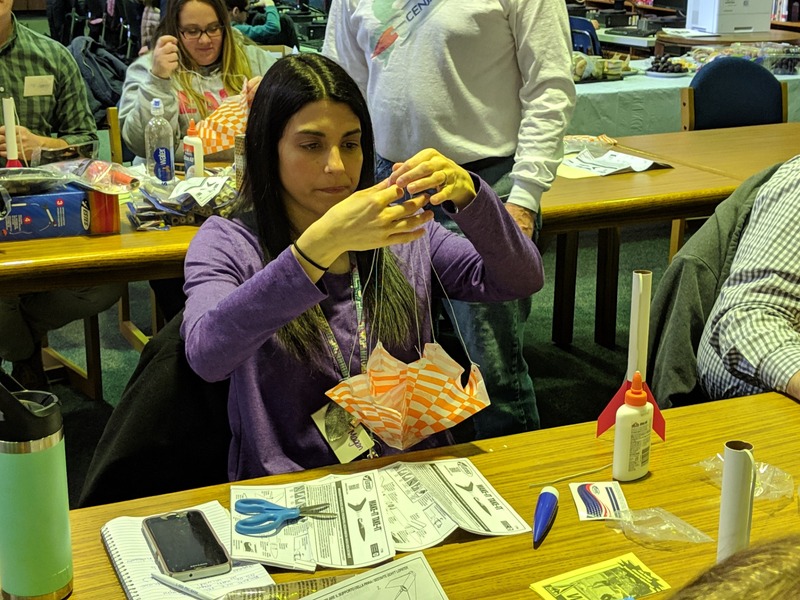 Olga Vilceanu, Rowan University/Rowan Blast Off Event Planner, brought her award-winning rocketeer daughters, Ilinca and Elena Vilceanu; and Charlie Kirlew and Brian Schenkenberger, trainers from CENJARS, the Central NJ Area Rocketry Society all helped make the workshops possible and successful. 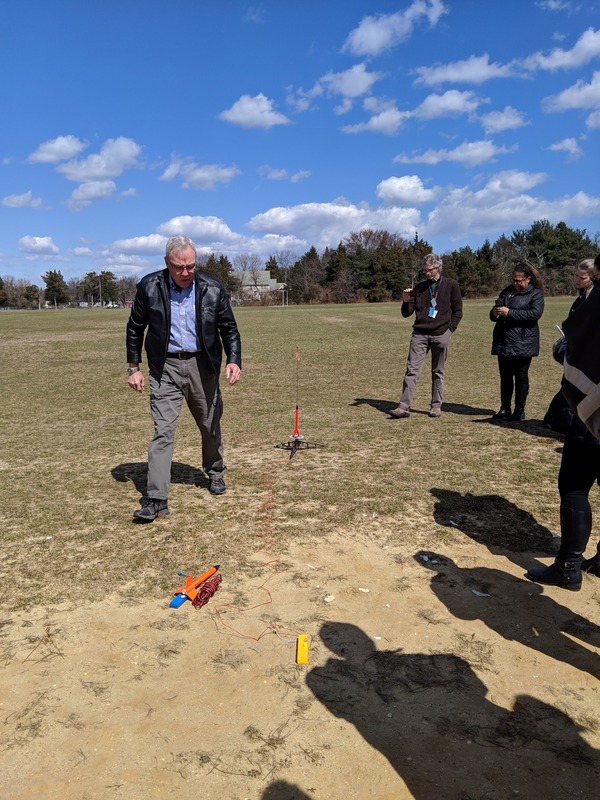 Toms River Regional Schools' participation in the Rowan University Blast Off 2019 Competition and Invitational is fully grant-funded. 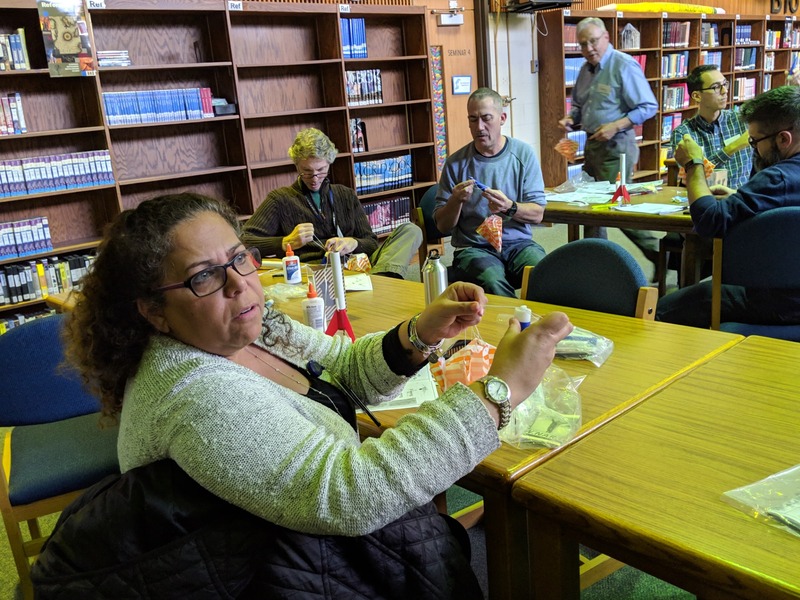 The March 19 training was provided by NAVAIR, and materials by Estes Rockets. 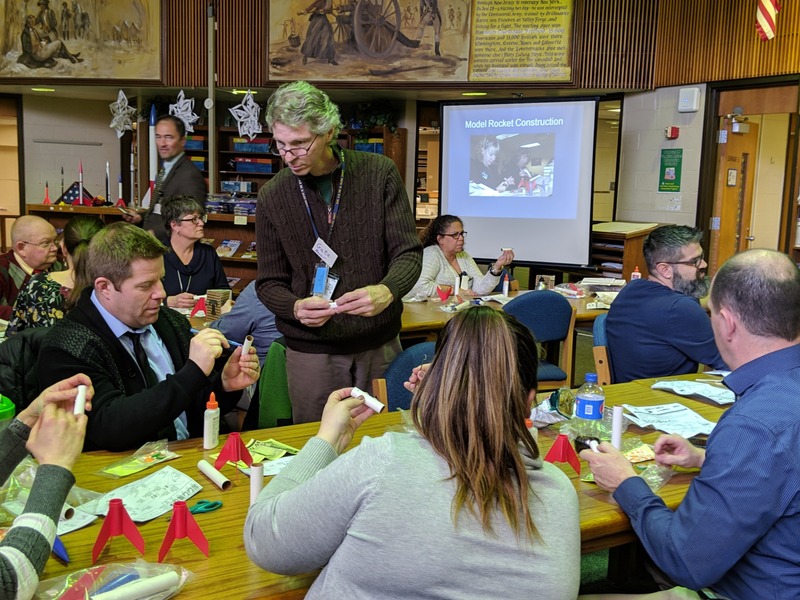 TRRS educators and transportation to the event are being provided by the Office of Naval Research's TR:TechReady grant that calls for students to have opportunities to participate in STEM competitions and to extend our ongoing partnership with NAVAIR.